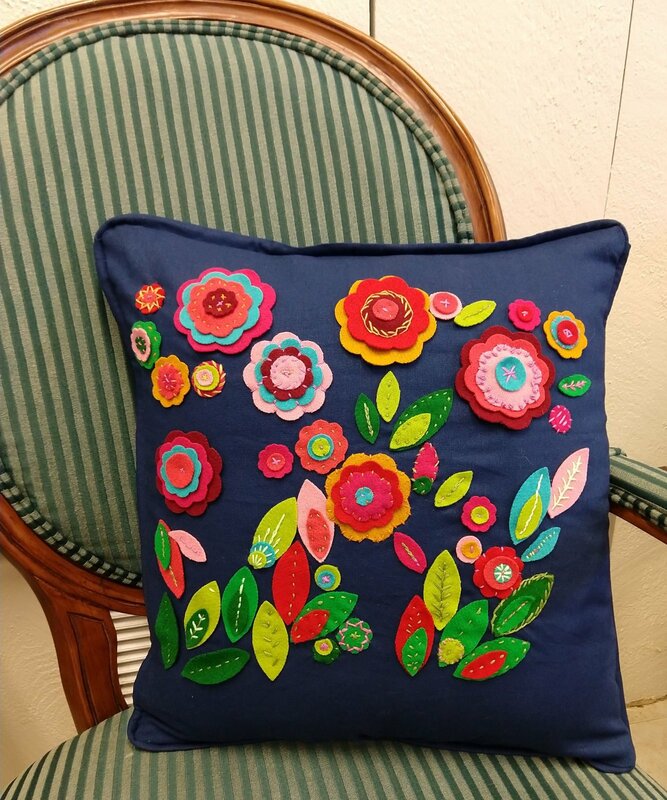 Wool appliqué has become super popular in the last few years & you can get in on the fun! This 3 hour class teaches you all you need to know, from preparing the wool, to laying out your design, to stitching all the lovely hand-embroidery stitches you'll need to complement your creation. Use of the shop die-cutter is included. You'll also get some finishing tips if you want your masterpiece to grace a cute throw pillow.